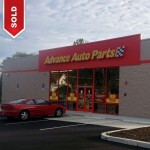 Advance Auto Parts (NYSE: AAP), headquartered in Roanoke, Va., Advance Auto Parts, Inc., the largest automotive aftermarket parts provider in North America, serves both the professional installer and do-it-yourself customers. 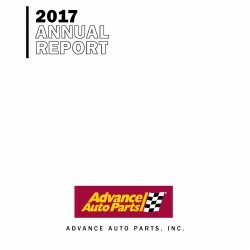 As of December, 2017 Advance now operates 5,183 company-operated stores, 105 Worldpac branches, and services approximately 1,400 independently owned Carquest branded stores in 49 states, Puerto Rico, the Virgin Islands and Canada. Advance employs approximately 74,000 Team Members. AAP’s strong financial profile allowed for an all-cash transaction for the acquisition of General Parts International, Inc. (GPII), a leading privately held distributor and supplier of original equipment and aftermarket replacement products for commercial markets operating under the CARQUEST and WORLDPAC brands supports Advance’s commitment to maintaining its investment grade ratings. The transaction created the largest automotive aftermarket parts provider in North America, with annual sales of over $9.3 billion. 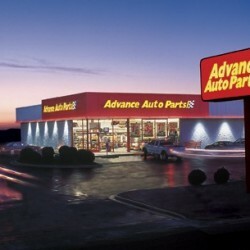 Opened 109 new Advance stores and 18 new Autopart International Stores, bringing the total store count to 3,368. 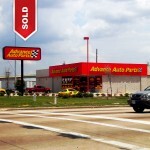 Opened 75 new Advance stores and 32 new Autopart International Stores, bringing the total store count to 3420. Awarded full investment-grade status by Standard & Poor’s and Moody’s. Acquired 124 B.W.P. Distributors stores, enabling Advance Auto Parts to continue its expansion in the Northeast, which continues to be a strategic growth area for Advance. Opened 4,000th store in Montgomery, NY. This new store is located in the Northeast, a key geographic growth area for Advance and part of the Company’s strategy to continue expanding its footprint. 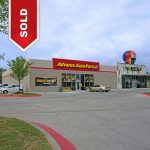 Announced a definitive agreement to acquire General Parts International, Inc. (GPII), a leading privately held distributor and supplier of original equipment and aftermarket replacement products for commercial markets operating under the CARQUEST and WORLDPAC brands, in an all-cash transaction with an enterprise value of $2.04 billion. Announced the completion of the acquisition of General Parts International, Inc. (GPII). GPII was a leading privately held distributor and supplier of original equipment and aftermarket replacement products for commercial markets operating under the CARQUEST and WORLDPAC brands. What Does Advance Auto Parts, Inc.&#39;s (NYSE:AAP) P/E Ratio Tell You?